Pope John Paul II, who was born in Poland on May 18, 1920, reigned as Pope of the Roman Catholic Church from October 16, 1978 until his death on April 2, 2005. He was born in Wadowice, Poland with the name: Karol Jozef Wojtyla. His father was Karol Wojtyla, an officer in the Polish Army and his mother was Emilia Wojtyla. His mother's maiden surname was Scholz. Emilia, who was a schoolteacher, died in childbirth in 1929, when Wojtyła was eight years old. 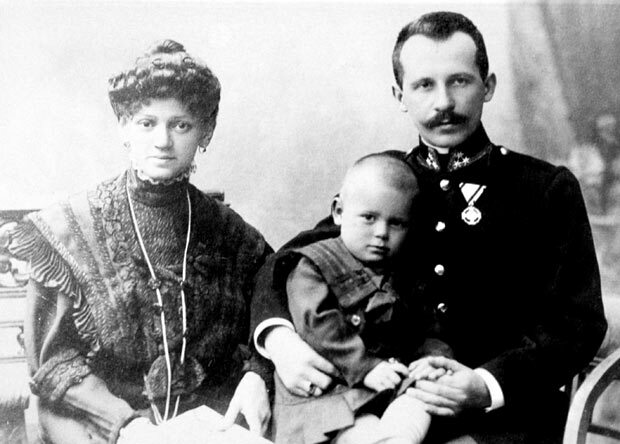 His elder sister Olga had died before his birth, and his brother Edmund, nicknamed Mundek, was 13 years his senior. Edmund's work as a physician led to his death from scarlet fever. Karol received a doctorate in Philosophy and a Doctorate in Sacred Theology, Jagiellonian University. Saint Pope John Paul II was canonized on April 27, 2013, at a celebration in Saint Peter's Square, presided by Pope Francis. His Feast day is October 22. 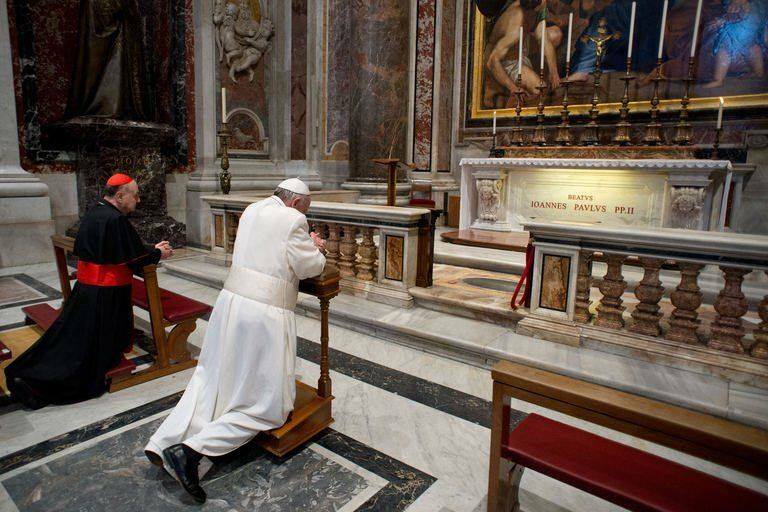 He wrote: Apostolic Letters‎: ‎45 Encyclicals‎: ‎14 Apostolic Exhortations‎: ‎14. He was the first non-Italian Pope in 400 years. 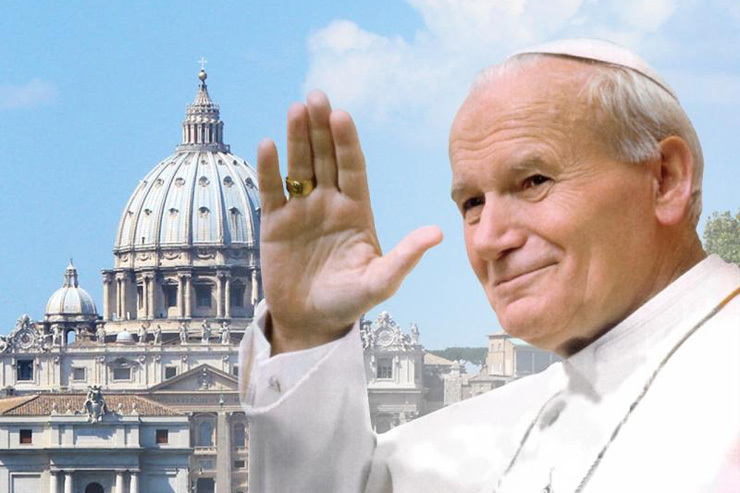 Pope John Paul II was famous for his influence in bringing down the wall in Germany and fighting Communism.